Icynene LDC-50 is 100% water blown and 100% open cell containing no harmful chemicals, agents, HFCs, HCFCs or volatile organic chemicals. Icynene open cell is the most certified product on the market having achieved KIWA Agrément Certification to Irish Building standards , BBA and ETA approvals and certification. Icynene recently underwent successful testing and assessments and is the only foam in Ireland certified for application to the underside of breathable and non breathable roof membranes and felts. 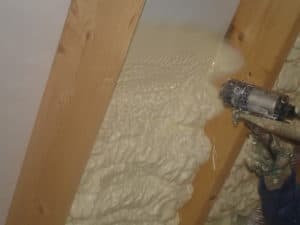 We at Weatherseal Insulation install this certified product to New and Existing homes in accordance with Irish Building Regs and Agrément certification. Icynene Open Cell LDC50 is the product that has made Icynene the World Market Leader in Spray Foam. This product has been used worldwide for over 30 years and in Ireland since 2004. We trust ICYNENE as our supplier. 12,000 homeowners have trusted us since we started in 2009. Trust us to survey, design, install, certify and warranty your home Insulation.